Save up to 25% off selected items. 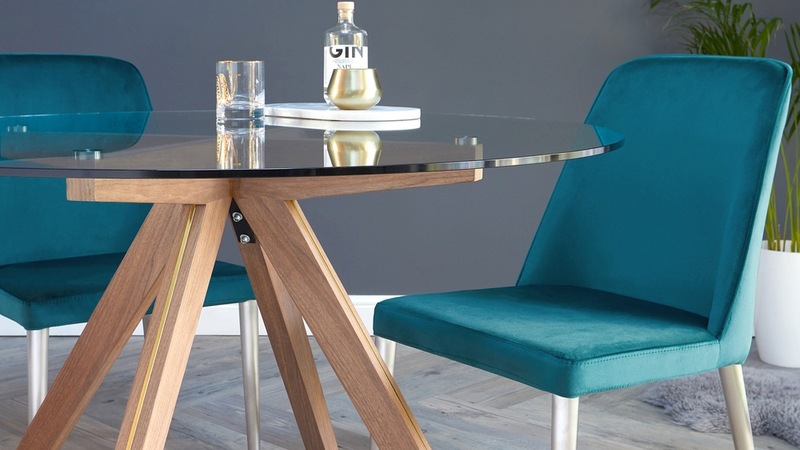 The Bay Velvet and Brushed Steel Chair is such an accessible way to add a designer velvet finish to your dining space. 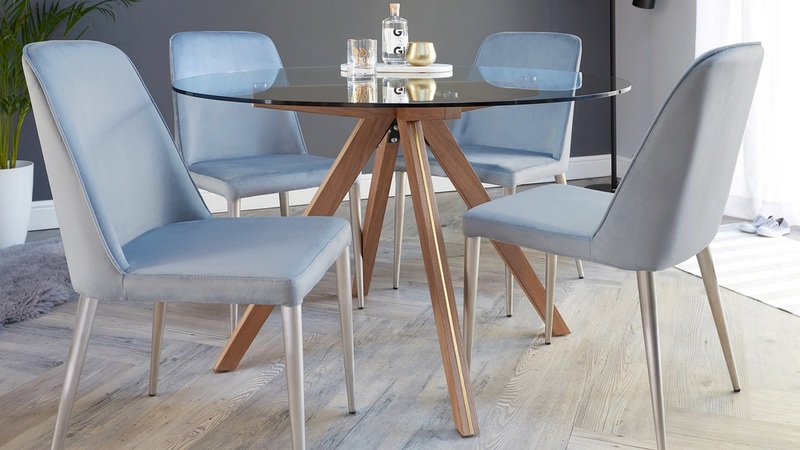 The generously padded seat and smooth velvet upholstery give the Bay chair its cosy and inviting feel, while the stainless steel legs and piped detailing add a modern luxe look. 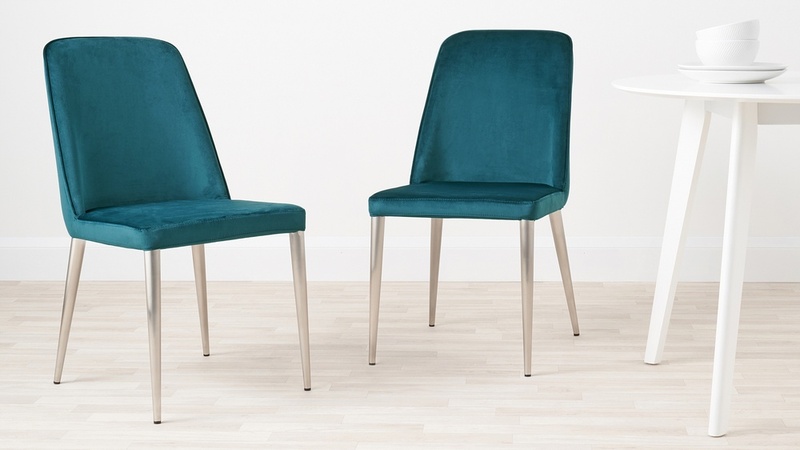 The Bay chair is upholstered in a short pile polyester velvet but it has the softer, matt appearance of a cotton velvet. 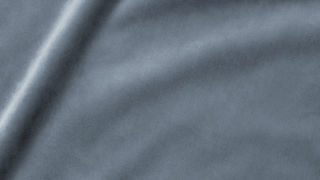 You'll notice with a matt velvet that its still soft to the touch but with less of sheen. 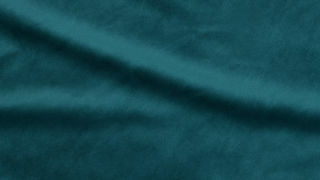 This type of velvet is a far more subtle way to introduce a plush finish to your home. 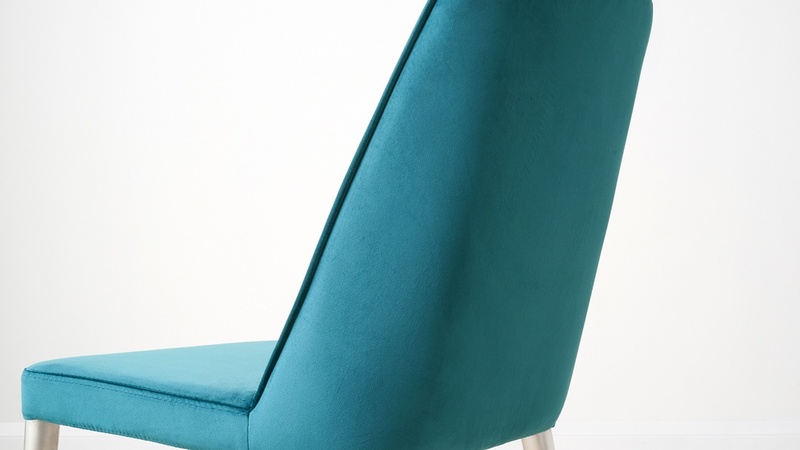 The colour palette for the Bay velvet chair consists of teal and petrol grey. 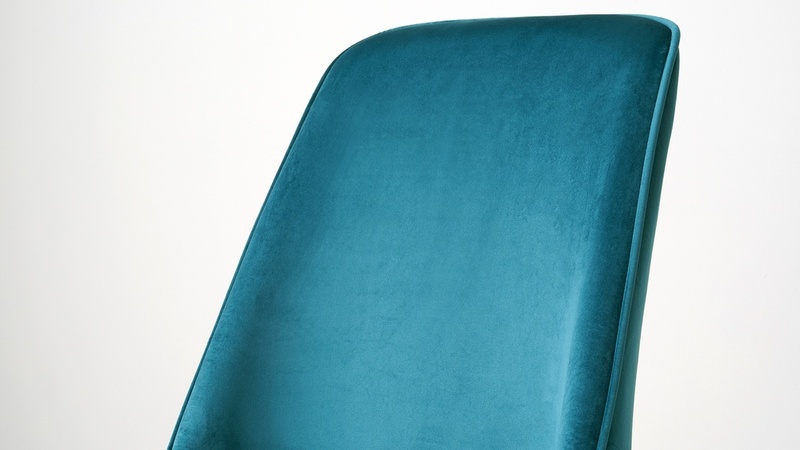 Because of the light sheen of the velvet and how the material picks up the light, the teal and petrol colourways have a rich, jewelled appearance. 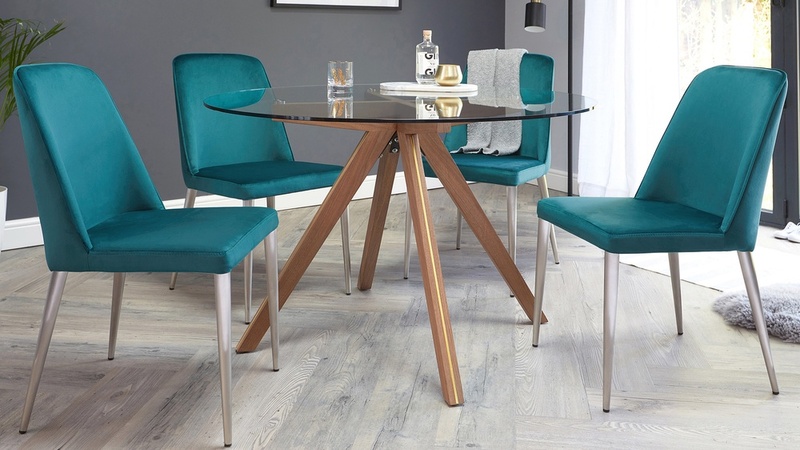 The Bay chairs are ideal for adding a designer pop of colour to your space without it looking too overpowering. 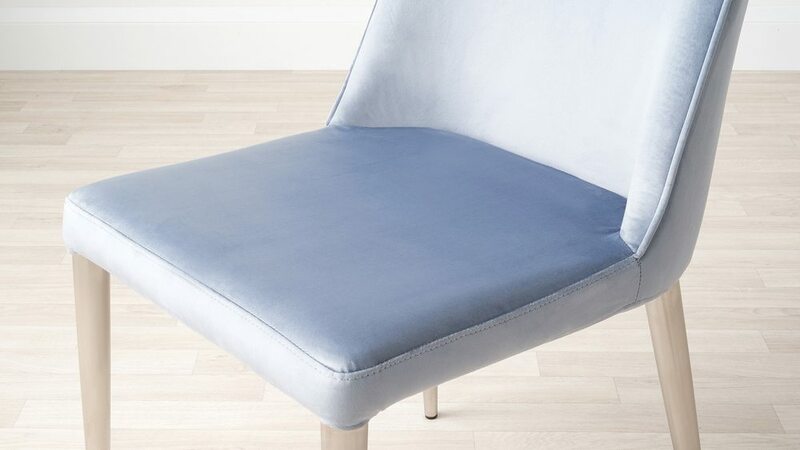 The curved base at the back of the Bay chair is a subtle feature that makes the chair that bit more generous, as it feels as though the chair is moulded to your shape. This, combined with the fabric upholstery, high back and padded seat, offers plenty of comfort and support when seated. 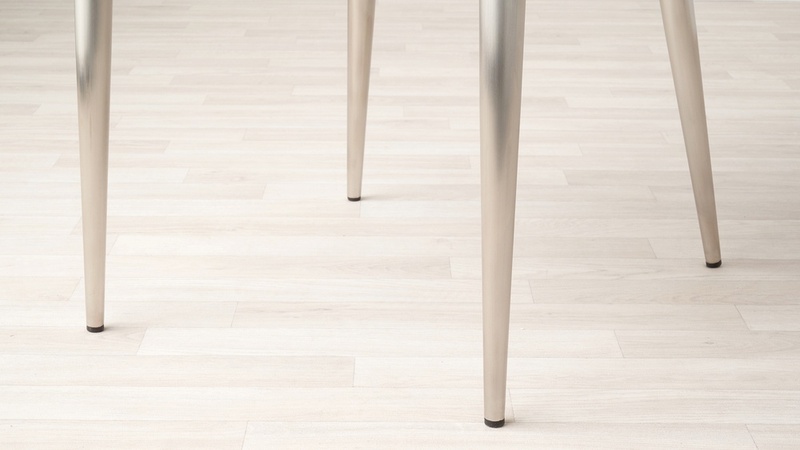 The brushed metal chair legs are great for matching with table legs or accent hardware, alongside being a modern contrast to the plush velvet seat. This makes creating a coordinated look throughout your kitchen or dining area even easier. 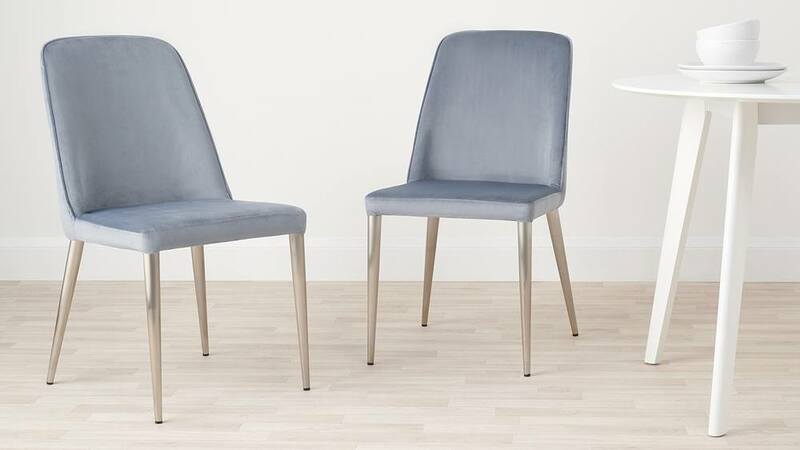 If you're after a different finish, we have the equally as stylish Iris chair which is the same shape and design but with a tactile fabric upholstery. 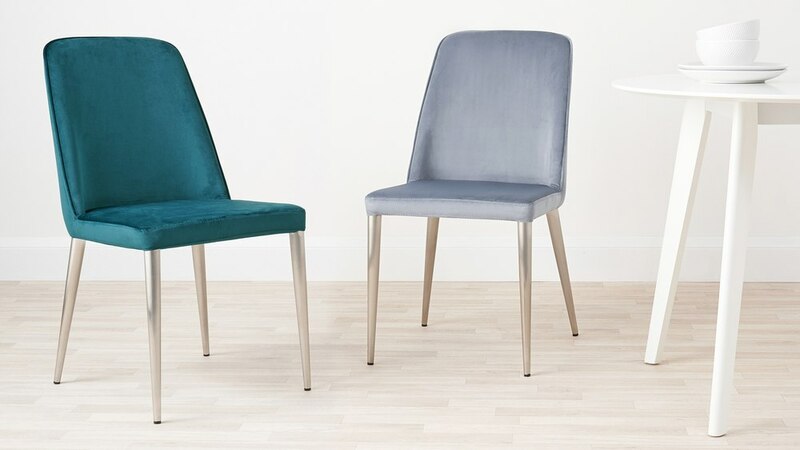 If you're looking to make more of a style statement in your dining room but want to keep the cost down, try updating your kitchen with Velvet Dining Chairs. A velvet seat, like our Bay dining chair, allow you to introduce a plush finish but in a subtler way than having a large dining bench or sofa. What’s more, the seat shape and style of the Bay makes it an incredibly comfortable and cosy piece.